Watermark ink pads are one of the essentials products you need when you sit down to craft. But which one to go for?! 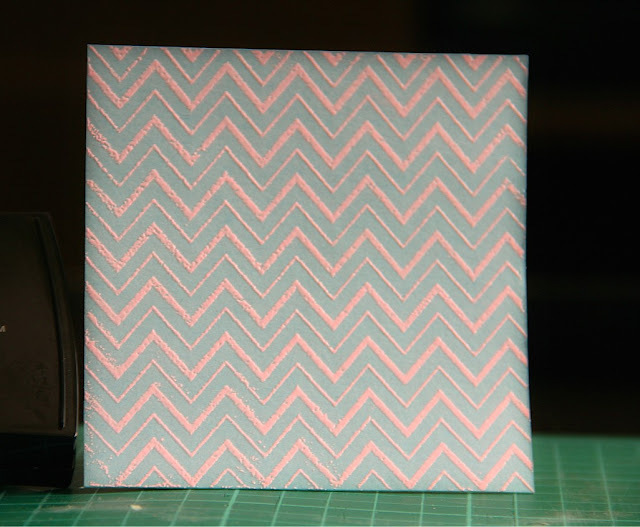 There are not a lot of Watermark Stamp Pads to choose from out there in the market. Earlier, before the Versamark era, there was only one brand available: Top Boss. 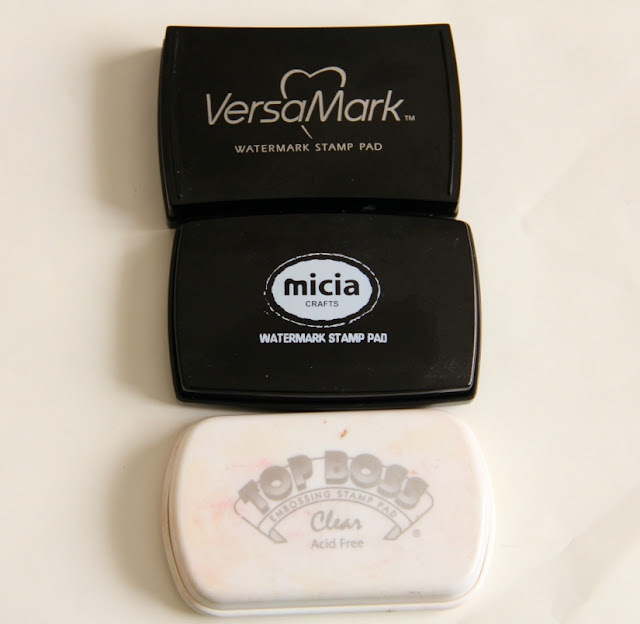 I remember buying it.. as it was my first watermark stamp pad and was really excited to use it.. then followed Versamark and I have never looked back to Top Boss after that.. but currently my top favorite is Micia Watermark Stamp pad.. Why?! 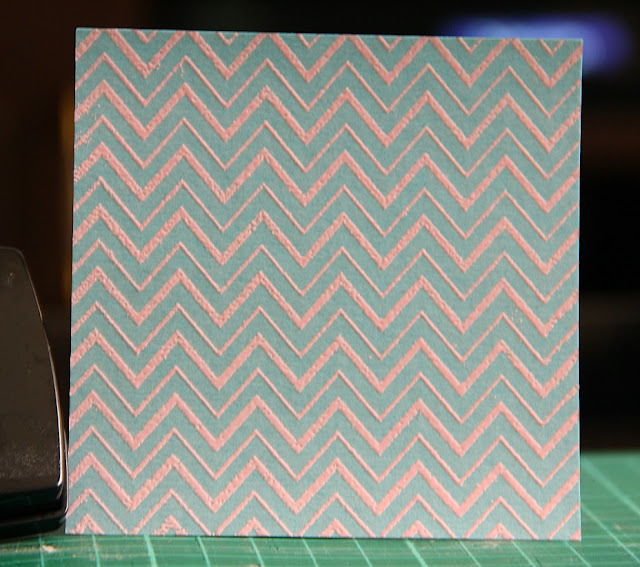 Please note: The card stock I've used for this post is slightly textured, so that you get to see the result of each product on a textured card stock. Here is an example of an image stamped and heat embossed using Top Boss Embossing Stamp Pad. You can see it does not give a very clear and a crisp image. 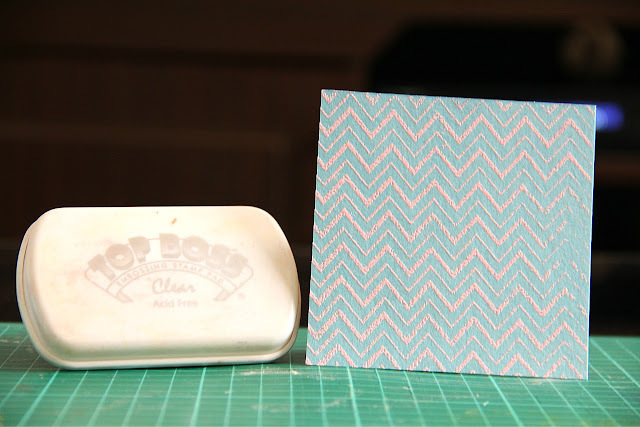 Infact, while using Top Boss, you gotta make sure you use your embossing powder quickly as it dries very quick. Thus, it is not the best product to try the Watermark technique with. It is also not as sticky as it is supposed to be which is why the powder does to stay on to the paper very well. Top Boss was the only Watermark Pad available in the store I bought from 4 years ago.. and I was pretty happy with it as a beginner at crafting. This was the first watermark pad I ever owned before I got a Versamark. It is also very economical but you do have to reink the pad regularly as it gets over quick. Conclusion: Not highly recommended. Can give it a miss. Versamark stays wet longer and is also stickier thus you get finer and a detailed image. Its the best for watermarked effect as it leaves a permanent watermark. 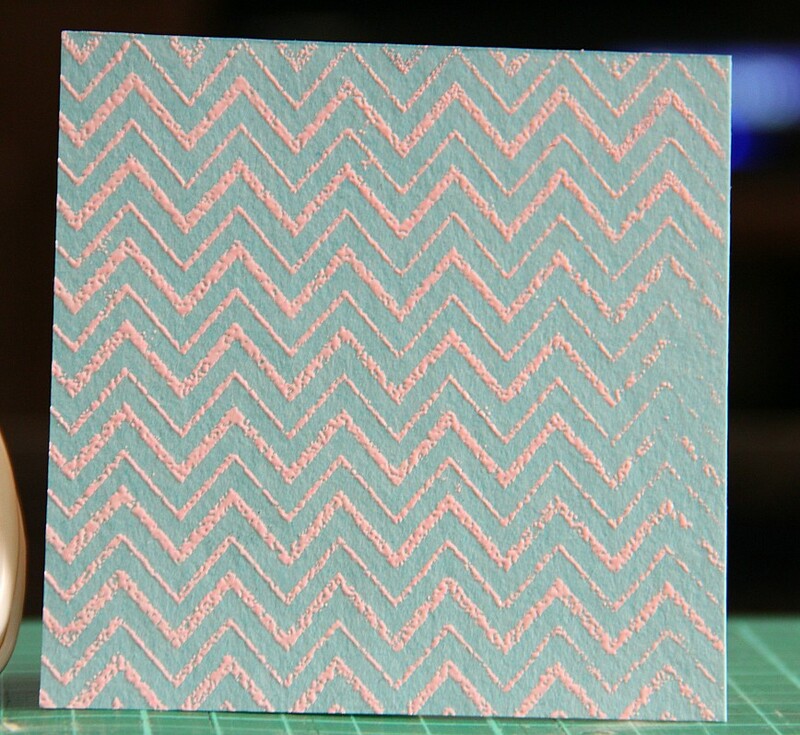 *caution* If you try this technique on scrapbooks, (which you'd want to preserve for a longer time) then its suggested you use clear embossing powder on it as it is said to fade off over years. It leaves a sticky residue on the stamp which takes a while to clean. Its a very versatile product and there are so many different techniques you can try out with this pad. Watermark, heat emboss, use it with dry pearl powder, Brayer Resist.. to name a few. 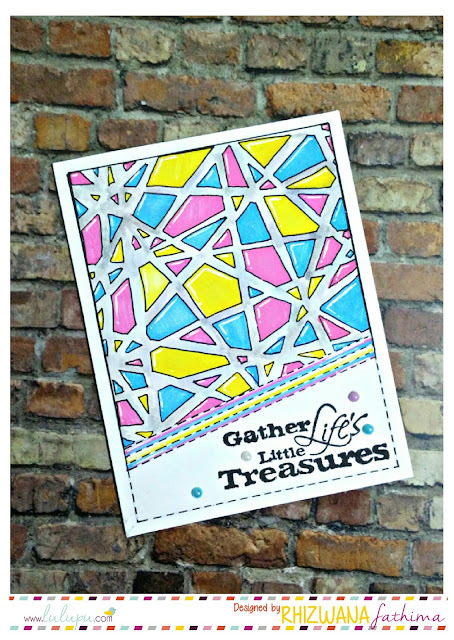 I once used it to stamp on a glass container and it work perfect! Its not a very well known brand as Top Boss or Versamark but I must say it is my current favorite especially for heat embossing. Since it has a stickier texture than Versamark you tend to get as crisper an image as Versamark.. infact at times even better. Its way too under-priced when compared to its usefulness. 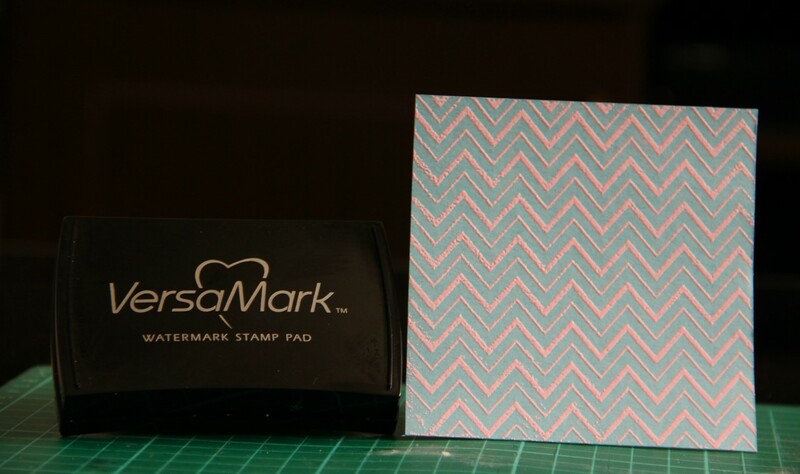 I would not highly recommend it for Watermark technique as it is not a very wet stamp pad as Versamark. 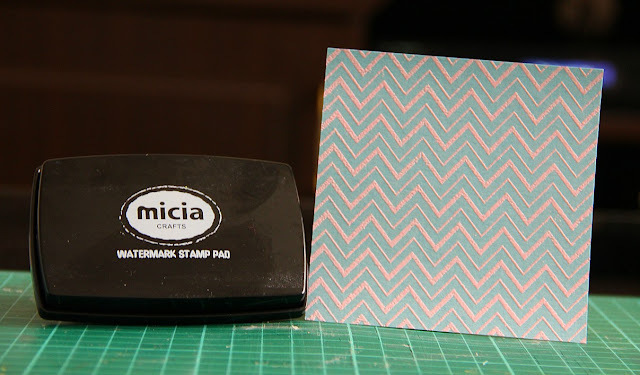 I am still exploring this product so have not really tried out a lot of techniques with this stamp pad but I have a very good feeling about this one. Please Note - All the above information is based on my humble opinion. Such a well explained informative post...Thanks Shruti!!! Thanks for the review of all three Shruti..i only knew about Versamark, got the info. about rest two inkpads today only..nice post ! !